Applications for Flatpack Film Festival 2018 Volunteer positions are OPEN! 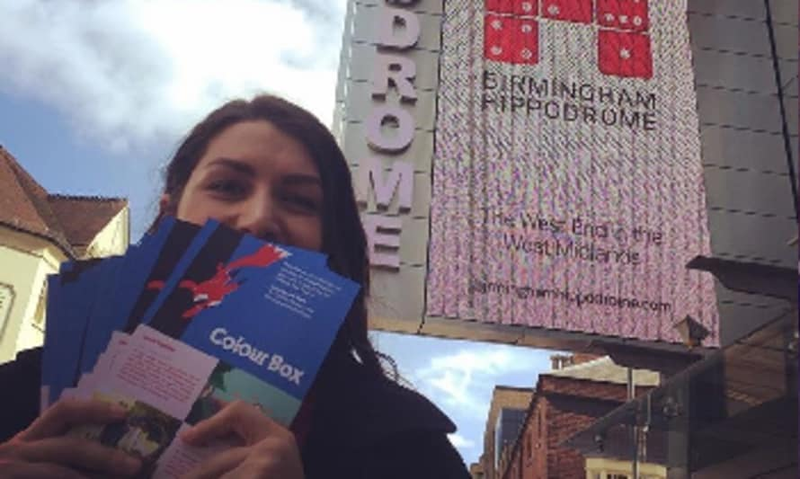 As we wait eagerly on our side of our (e)letterbox for all of your applications, our Marketing Assistant Grace is throwing back to her experience as one of last year's Marketing volunteers. Having spent a few years at university volunteering for various festivals and cultural centres, I was eager to start focusing and developing my skills in marketing specifically as arts marketing had increasingly become an area I wanted to pursue post-study. As fate would have it, the introduction of the Marketing Volunteer role at Flatpack Film Festival offered me the perfect opportunity to do so! In the lead up to the festival, my fellow marketing vols and I were tasked with contacting local blogs and press to assist the main marketing team in generating a buzz building up to the opening. We were also required to do a bit of research into local areas and strategically target sites in which to drop festival brochures and event flyers. This meant that our group of volunteers really got to experience the city (something key to the principles of the festival). I definitely felt like I came away form the role with new insights on communities here in the city centre as well as the community spirit between independent businesses here. It definitely wasn't hard to get people excited for Flatpack 11 and it was fab to expand my own personal network here. My favourite part of the role was the social media focus of the group. Our coordinator, shout out to the glorious Rachael Yardley, had set us up with our very own Instagram account (@flatpackvolunteers) and basically gave us free reign throughout the festival to document our experiences across the festival on it. Whilst giving us the chance to immerse ourselves in the events, our Instagram account placed us at the heart of the social network in the vast pool of volunteers elsewhere in the festival. Everyone was encouraged to tag us in their own posts so that we could create a feed that represented the volunteer experience as a whole. This was a fantastic way to meet the whole vol gang and was another really fun way of engaging other members of the public (everyone loves a cheeky behind the scenes look). On the flip side, if you're not necessarily looking to pursue marketing in the future but fancy spending a few weeks chatting incessantly to some mad (but lovely) people, skipping merrily around Birmingham city centre, and flexing your social media muscles then this is still the perfect opportunity for you. You'll have an absolute blast. Best of luck to this year's volunteers. I can't wait to meet you all! If you would like to register your interest in becoming a Flatpack Film Festival 2018 Marketing Volunteer (or any other volunteer role) then please fill out this application form. The 12th edition of Flatpack Film Festival will take place in venues across Birmingham from 13 - 22 April 2018.